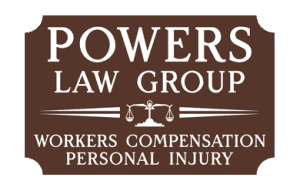 Powers Law Group is committed to supporting those in our community who work to make it a better place to live, especially when their work involves improving the lives of children and young people. Yesterday, we saw a local news story about a team of young all-star baseball players from Bloomfield Youth Baseball League. The team highlighted is in the U6 League, or under 6-year-old league. They have been working, along with two other qualifying teams from Bloomfield (U8 and U10) to raise $3,000 in order to play in the USSSA’s All Star World Series in Gulfport, MS next week, and were still $1,000 short of their goal. They needed funds to pay for travel, lodging, and meal expenses for the trip. After working and practicing so hard from January through the final state tournament earlier this month, we knew we had to help these determined kids, and their dedicated coaches make this dream into a reality. Today, we visited the Bloomfield Community Center, where an end-of-the-season celebration was taking place, to deliver a check to cover the remainder of the expenses. We had the privilege of meeting Adonis Hollingshed, the President of Bloomfield Youth Baseball, and several of the wonderful coaches who have gotten the teams to World Series status. Sadly, we were unable to meet the team members because they were working at a car wash a few miles away to continue to raise money. This speaks to the level of dedication these young boys possess to achieve their goal. For many of them, it will be their first trip outside of Georgia, and their first chance to visit the ocean. We will be cheering them on from Macon and hope that you will join us! With all of the disheartening news of violence, shootings, and killings occurring on an almost daily basis, it is truly a God-send to know that there are many working daily in our community to be role models and leaders for our young people. These are the kind of “gangs” and “gang leaders” that we need. We salute Bloomfield Youth Baseball for their amazing work! including, but not limited to the cities of Macon, Warner Robins, Milledgeville, Perry, Fort Valley, Centerville, Byron, Forsyth, Gray, Dublin, Cochran, Roberta and Lizella. 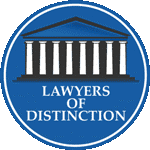 Copyright © 2019 Powers Law Group. All Rights Reserved.